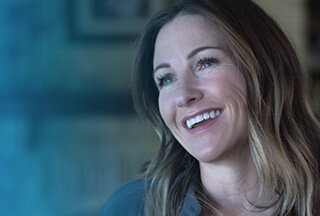 Dell Financial Services Account Executive at Dell Inc.
Dell provides the technology that transforms the way we all work and live. But we are more than a technology company — we are a people company. We inspire, challenge and respect every one of our over 100,000 employees. We also provide them with unparalleled growth and development opportunities. Within Business Unit we are looking for an DFS Account Executive to work as part of a team based in Singapore. Responsible in assisting and supporting the Enterprise Sales function to help create/drive incremental opportunities, increase the deal size, and participate in making deals happen by formulating creative financial solutions. Develop valid and compelling financial scenarios and TCO’s to form part of the EMC value proposition. Working on creative financing structures to take out competitor’s equipment such as NBV buyout, Sales and Lease Back, Swap program values etc. Be the key interface to qualify and structure EMC On-Demand or Pay-Per-Use offering by working with Sales, Services and other cross-functional teams to package hardware, software, services and maintenance into a managed storage offering. Responsible for driving and delivering real value proposition in Enterprise License Agreement (ELA) for EMC software portfolio. Liaises with Legal and funding teams to support contract negotiation and also with Sales Operations and Finance for order processing.